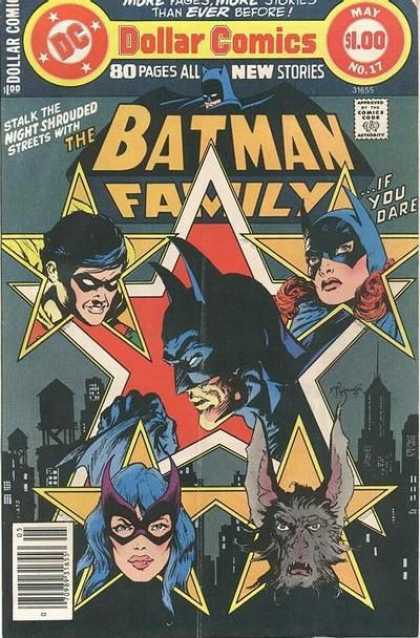 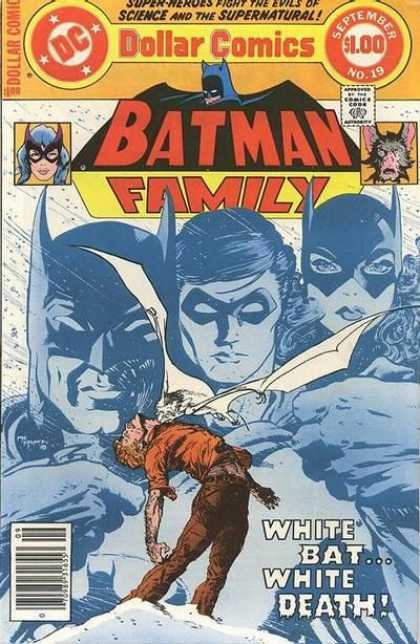 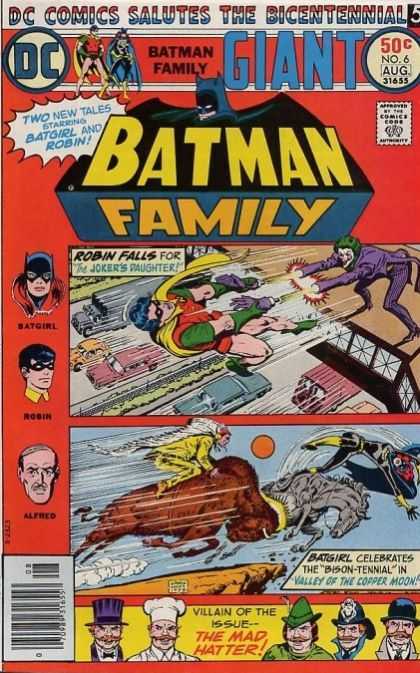 The Batman Family was a DC Comics comic book series which ran from 1975 to 1978, primarily featuring stories starring supporting characters in the Batman comics. 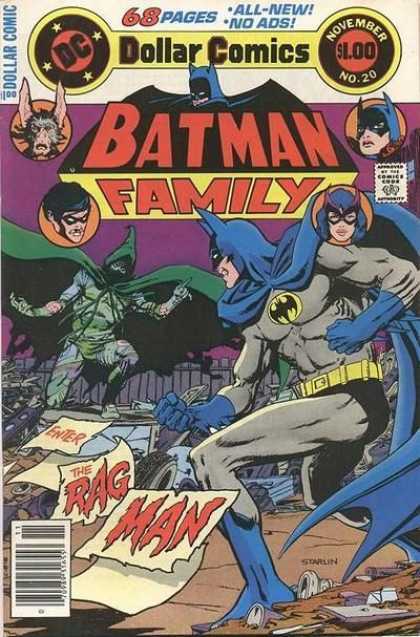 The term is often used to refer to the extended cast of characters of comics books associated with Batman. 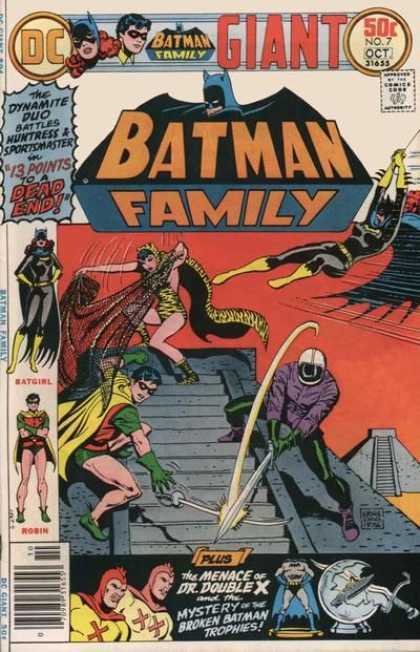 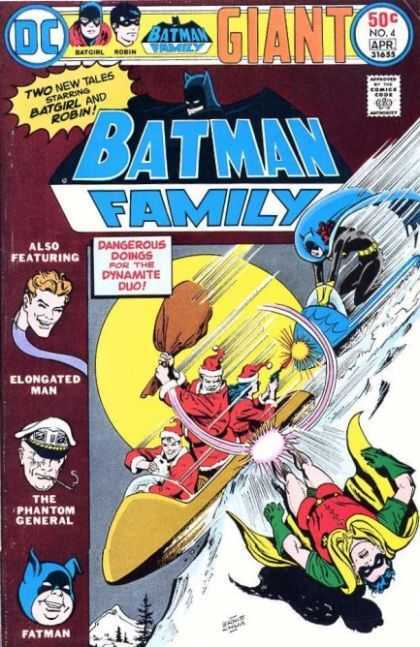 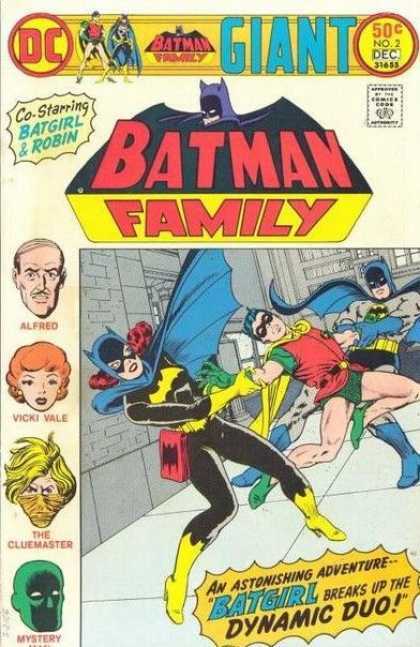 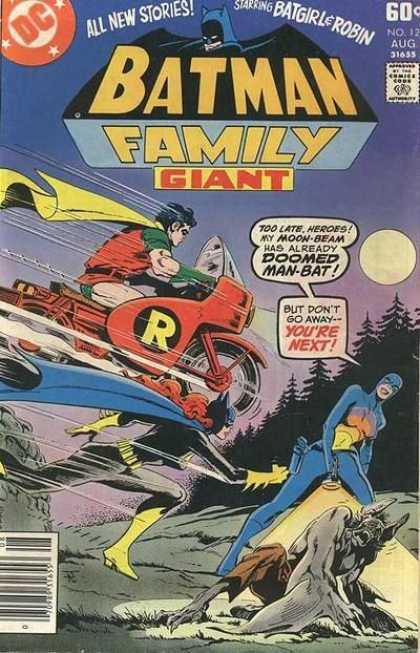 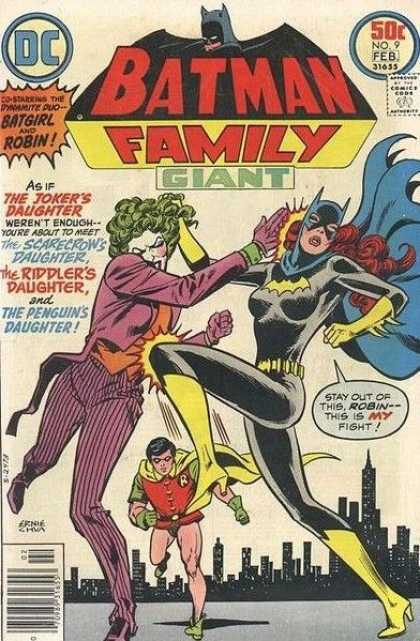 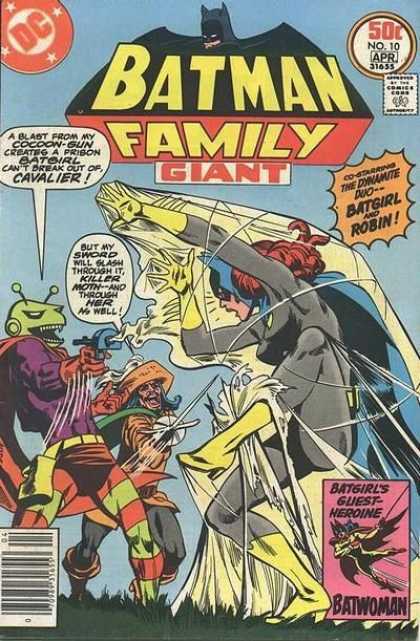 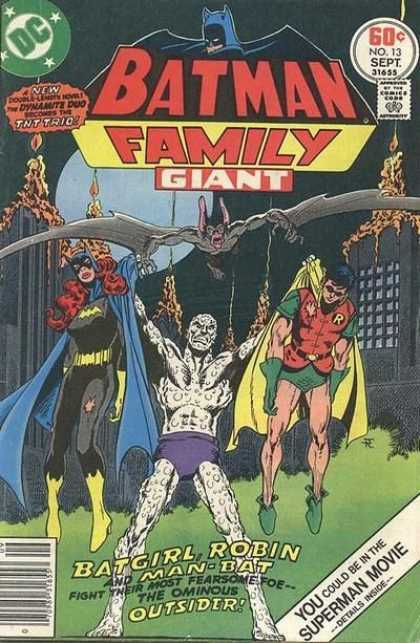 The Batman Family featured solo and team-up stories starring Batgirl and Robin in addition to reprints of Golden Age stories. 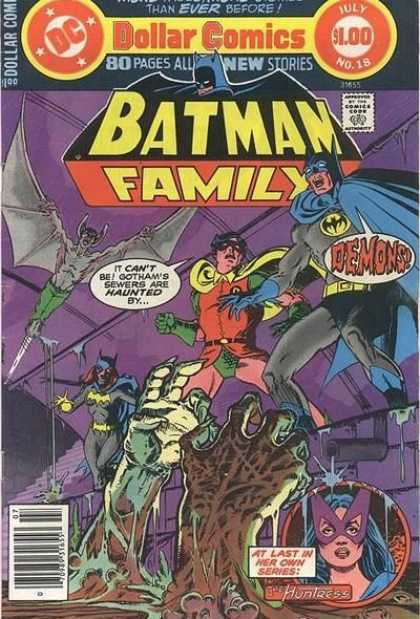 Many issues of Batman Family featured Batman supporting characters such as Alfred, Vicki Vale, the Elongated Man, Man-Bat, The Huntress, and Ace the Bat-Hound. 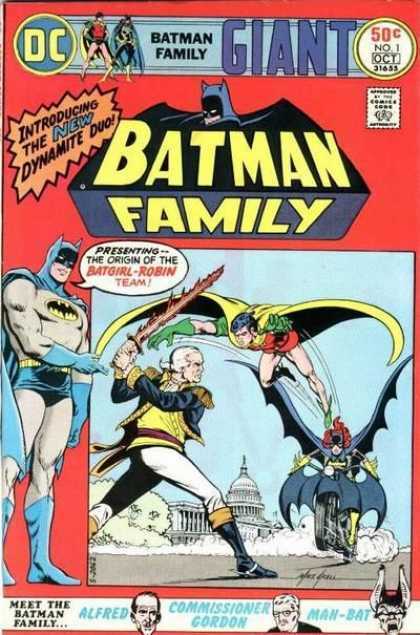 DC published several other ... Family titles concurrent with Batman Family. 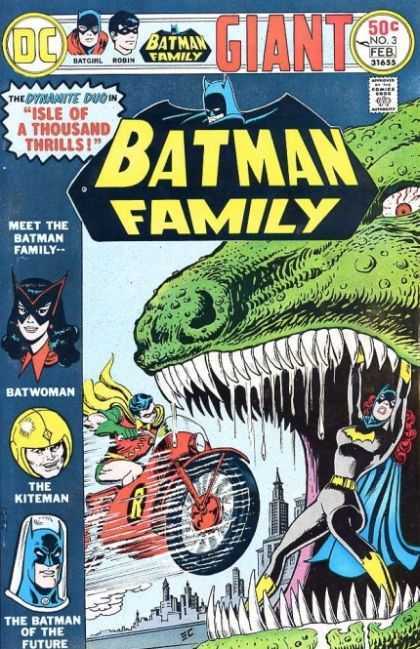 These included Superman Family (1974-82), Super-Team Family (1975-1978) and Tarzan Family (1975-76). 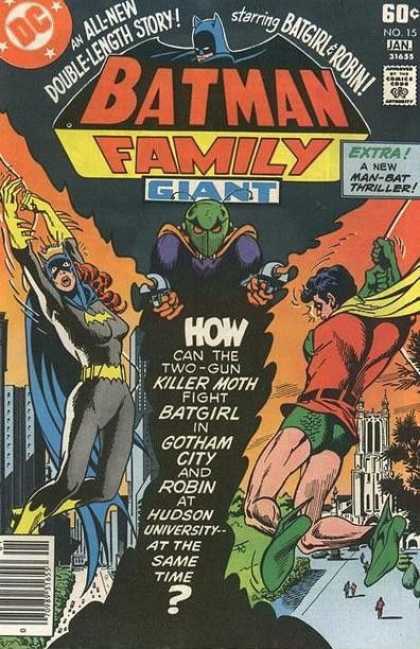 As a rule, DC's ... Family titles contained mostly reprints, and featured a higher page count (and higher price) than DC's normal books. 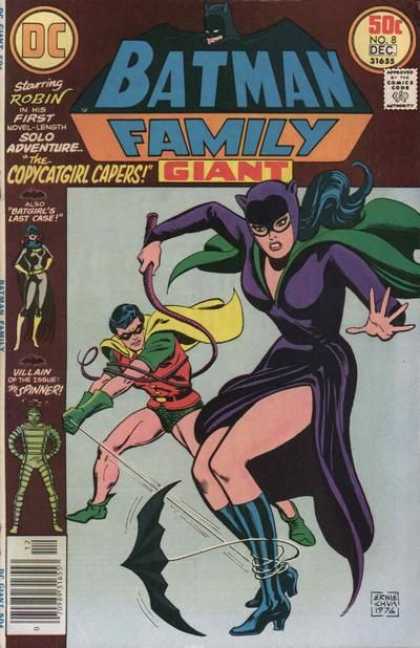 Its final issue, #20, ran with no advertisements.